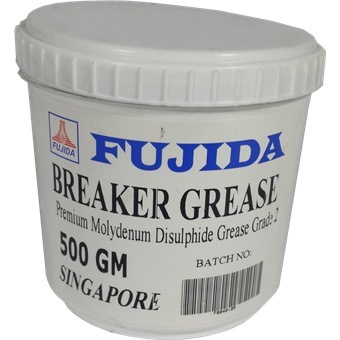 FUJIDA BREAKER GREASE -A premium lithium based grease containing Molybdenum Disuipide. 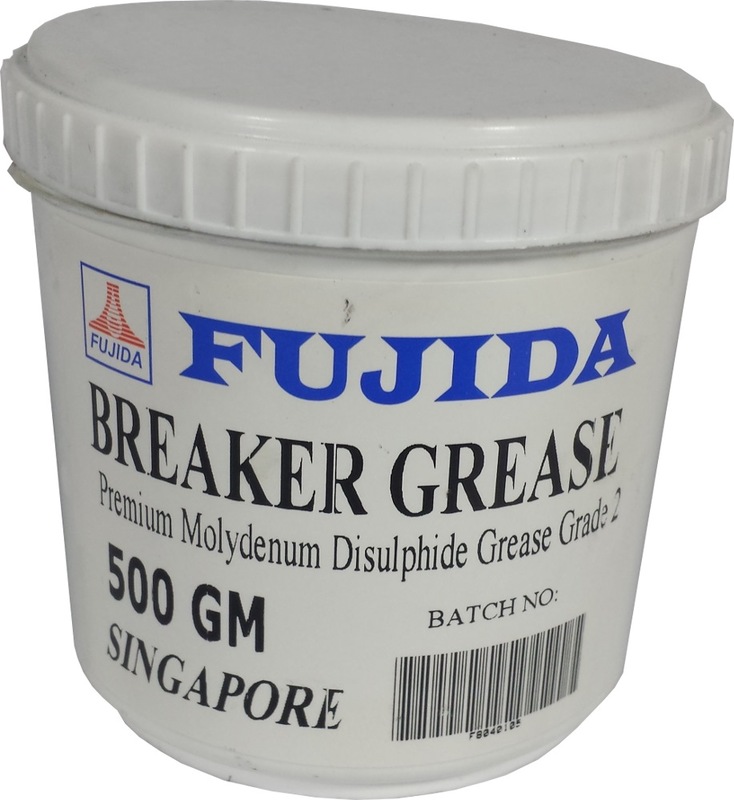 It helps prevent depletion of normal grease lubrication by leaving 1 coat of residual on the applied surface creating a dry or solid lubrication over recommended operating temperature. It has high resistance to water and rust and reduced wear in highshock load conditions. Used in heavily loaded slow/medium speed bearings and bearing damage caused by excessive vibration from shock damage.